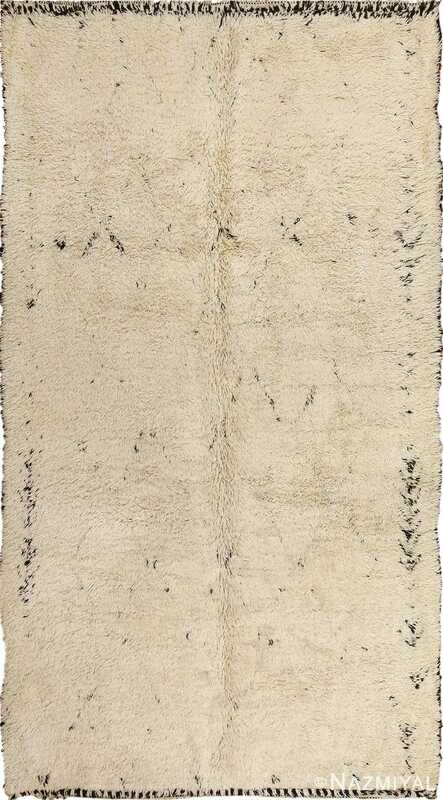 Magnificent Ivory Background Color Gallery Size Vintage Moroccan Beni Ourain Rug , Country of Origin / Rug Type: Morocco, Circa Date: Mid – 20th Century – Vintage mid-century Moroccan rugs are an excellent addition to any rustic, contemporary, or modern interior decor scheme and this beautiful example is no exception. 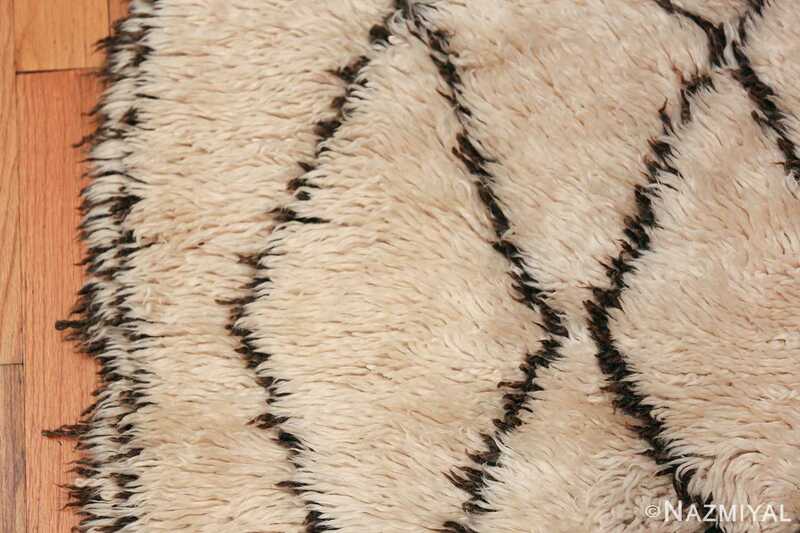 The overall design of this beautiful Beni Ourain rug is based on a diamond pattern, but it is done in such a way that it brings out its hand-drawn quality. 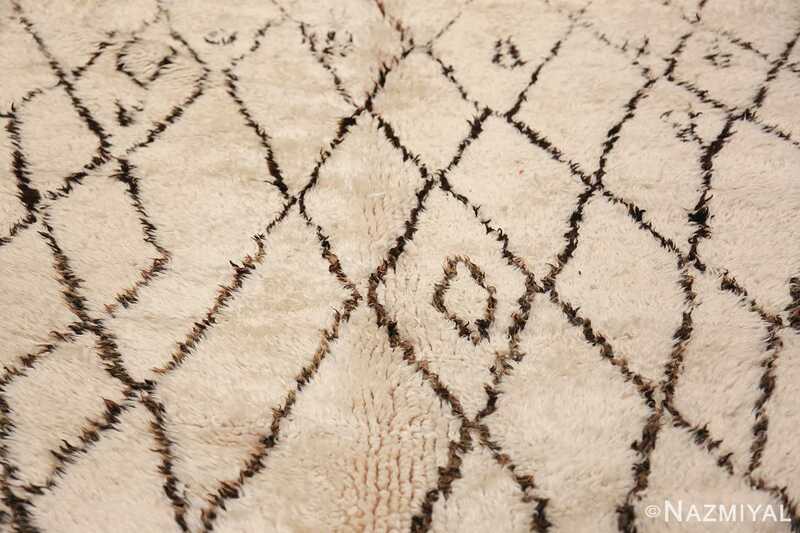 It uses a simpler ivory and dark toned color scheme in a way that brings the design out as the main focal point of this magnificent rug from Morocco. These beautiful vintage rugs gained popularity during the mid 20th century because they complemented contemporary abstract, and minimalist interior designs of the time. 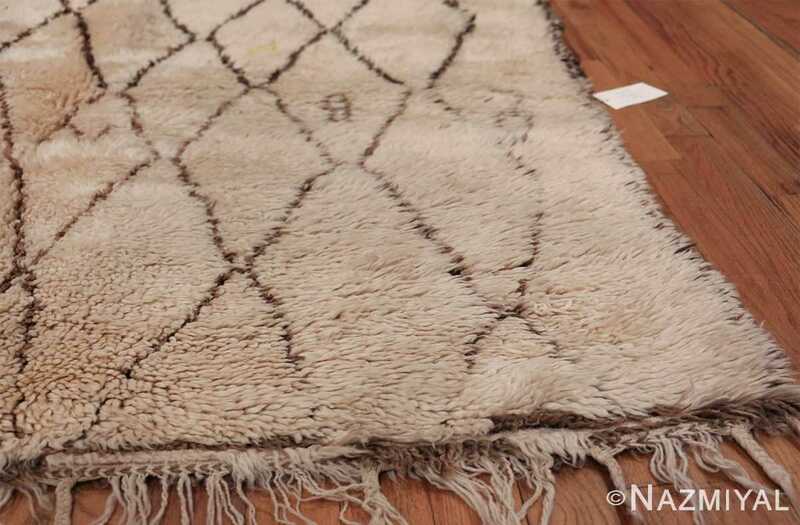 Each of the designs in this beautiful gallery size rug tells a story of the life of the weaver. 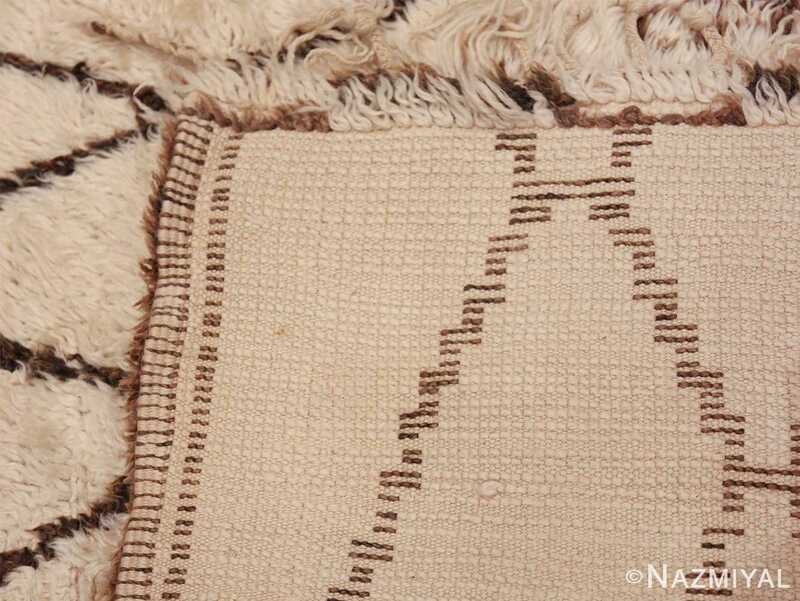 It is a little like an autobiography and each line and symbol within the gallery size vintage Moroccan Beni Ourain rug represents some aspect of the rug weaver’s life. Many of the design symbols have been lost in antiquity, making this rug even more special. 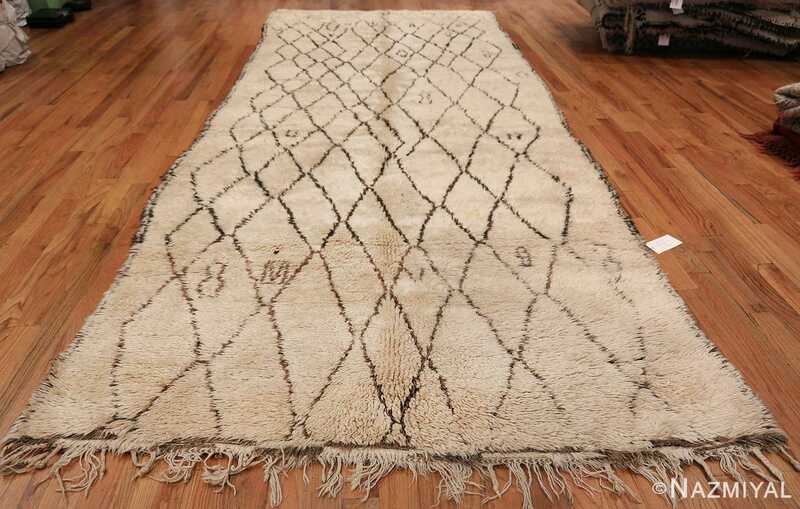 Although much of the symbolism of the gallery size vintage Moroccan Beni Ourain rug has been lost in time, it’s beauty and charm remain. The lines are done in such a way that they appear to be hand-drawn, highlighting uniqueness of this piece of artwork. 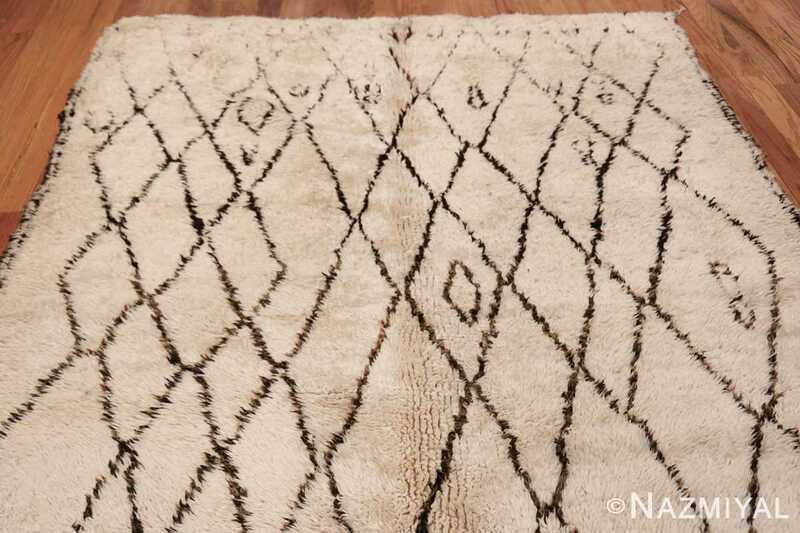 This rug is a beautiful addition to any room decor that calls for a rug that is unique and follows simple design conventions. 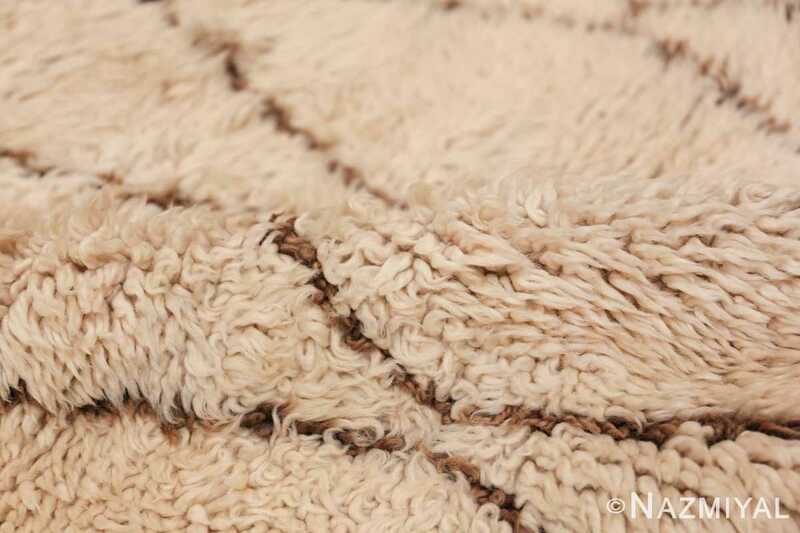 It works well with any modern, minimalist, or modern Scandinavian design to any home or office that has a space large enough to accommodate it. 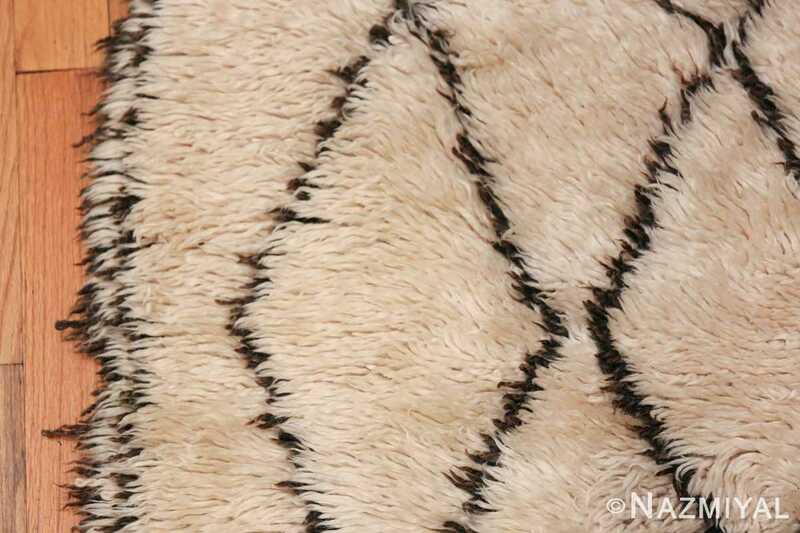 Strong flat-weave stripes and polychromatic pile accents decorate this spectacular mid-century Moroccan rug, which displays a chic combination of neutral colors.